"My teaching appeals to people who want to learn new approaches that free them from limiting thoughts, fear of failure and anxiety. Focusing on the process and embracing the joy of creativity, students move into that happy place where time fades away. Here, we are in touch with a universal spirit, truly living in the moment. Without putting too much emphasis on the end product, making mistakes, solving problems and building on positive experiences, the learning process isn't painful or frustrating. With my guidance, I see creativity, achievement and fulfillment blossom. When the right foundation has been laid, living with art and experiencing the joy of creativity can help us to live life now, with more engagement, love and enjoyment." Private, semi-private and group sessions are held in her comfortable, bright, spacious studio in the Pinelands of Burlington County, N.J. Group events may also be available at your location in New Jersey, New York City, Philadelphia, Delaware and beyond. Contact Sandy to quote a demo or class, which can be given for a club, school or private group. 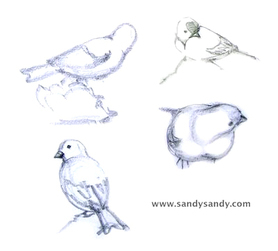 An enthusiastic instructor and lively demonstrator, Sandy is always eager to help budding or developing artists. She welcomes first time wanna-bes, casual hobbyists and the more serious artist looking to further develop their knowledge and skills. Sandy is an experienced guide and mentor on the art journey. She believes like herself, all students of art need to learn, play and experiment to experience that delicious joyfulness of creating. See Sandy's Interview on Artsy Shark here. Demos are a fantastic way to introduce watercolor or alcohol ink painting to art enthusiasts of all levels. Demonstrations include universal truths and tips for artists of all disciplines and are a great warm up and introduction for future classes. See more about Sandy ﻿here﻿. 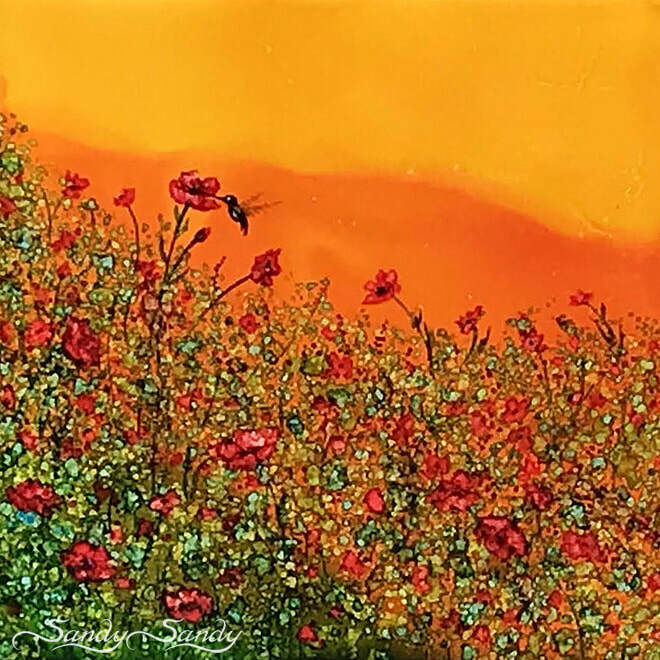 Alcohol Ink online classes for beginner through advanced students. "We really did have fun. Sandy was flying around and giving us all individual attention...a truly great teacher." ~ Joan H.
Prices for classes, workshops, demonstrations, logos and illustrations are available by request.